As April 15th draws nearer, people around the world are looking forward to seeing what the People’s Bank of China’s stance on Bitcoin will be. In preparation for the impending day, Chinese Bitcoin businesses have begun receiving official notices of account closures from their banks. 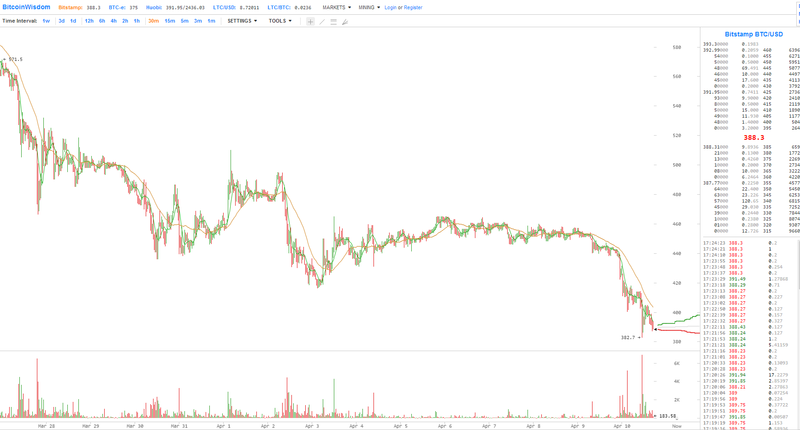 As a result of this, Bitcoin price has dropped over 10% to a low of, currently, $388. Interestingly enough, the PBOC still has not made an official announcement yet, but this hasn’t stopped other banks from taking action. 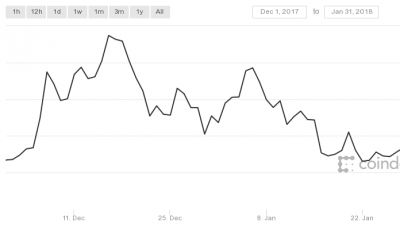 This has caused Bitcoin price to decrease significantly over the past few weeks. Even after writing that it has to stop RMB recharges, the company continues on to say that it still believes that BtcTrade has a “bright future,” and even that “Bitcoin’s future will be immeasurable.” RMB recharges are the easiest way for Chinese RMB to transfer into a Bitcoin exchange’s bank account in China. In addition to BtcTrade, Huobi, a Bitcoin exchange in China, announced that it has gotten a notification from the Industrial and Commercial Bank of China (ICBC). The announcement said that the Zhongguancun branch of the ICBC had contacted Huobi to stop using their bank account. In fact, the Zhongguancun said that they themselves had gotten a notice from “higher authorities” that said Huobi’s account had to be shut down. Even though Huobi will no longer be able to use the ICBC as their primary bank account, the digital currency exchange reassured users that all their funds are completely safe. Huobi has also said that withdrawals haven’t been affected by their announcement. 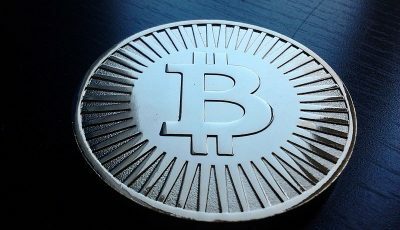 BTC100, a smaller Chinese Bitcoin exchange, has also received a notice from its bank which said that it too needed to close its banking account. However, the digital currency exchange, just like Huobi, assured users that withdrawals haven’t been affected by the announcement. It is no wonder that with all of these announcements, Bitcoin price dropped over 10% in less than 24 hours. It is true that Bitcoin exchanges are receiving notifications from their respective banks to shut down their accounts, however, this does not mean that Bitcoin is banned in China. All of this simply means is that Chinese Bitcoin exchanges will need to work with banks outside of China in order to do business properly or at least to find a work around the situation to continue running their exchanges. It does not mean that Bitcoin trading is banned in China. A limitation is being placed on the Bitcoin exchanges in order to restrict Bitcoin, not stop it entirely. Recent drop in Bitcoin prices is due to the Chinese Bitcoin exchanges receiving notifications from their respective banks saying that they must close their accounts. However, it is important to note that the PBOC has yet to make an official statement. As for now, one thing is clear: Bitcoin is not banned in China.